Liquidations are a stringent process in which a company’s assets (or part of a company) are stripped and redistributed or sold. This is often referred to as winding-up or dissolution. When a company faces liquidation there are specialist liquidators that start an inventory of the company’s assets and determine which valuable assets will be redistributed. There are two forms of liquidation, voluntary or compulsory. Voluntary liquidation occurs when all of the company’s assets are dissolved and all existing employees are paid off with redundancy packages resulting in the company closing down. Voluntary liquidation is only enforced when all other potential avenues have failed such as selling the business or a change of management. The whole process is very expensive to initiate and substantial costs can be incurred by the business owner which is unlikely to return a suitable amount of cash. A compulsory liquidation occurs when a Winding-Up Petition has been presented to a Court against a business that is unable to pays it outstanding debt to its creditors. This is a serious matter and could affect the long term reputation of your company and the directors, therefore you must seek immediate professional advice from a liquidation specialist. The social stigma and reputation of your company after a Winding-Up Petition can have long lasting and damaging consequences to your trade as banks and creditors may seek to freeze your bank accounts and suppliers. They may demand early repayments on your existing outstanding debt. If a Winding-Up Order has been made, you must appoint a specialist liquidator and you must stop all business related activity immediately. The liquidator will then handle all business assets which can be used to pay off the outstanding debt. 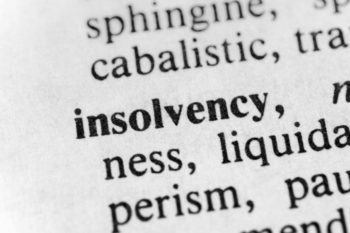 At Bloomsbury Law, our team of specialist liquidation solicitors are highly skilled in advising businesses that are facing financial pressure. Our team of experts have years of experience and a streamlined process in dealing with all liquidation matters so that all cases are efficient and effective to clients. We understand liquidations can be a stressful period, but please note it is of the upmost importance to contact a liquidation solicitor to receive expert advice. Our team of specialists have years of experience in dealing with liquidation cases, so call us with confidence.